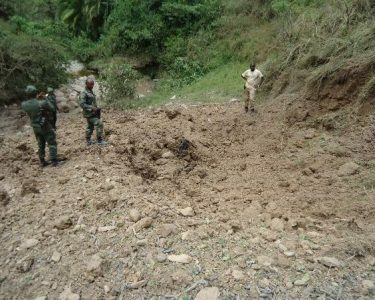 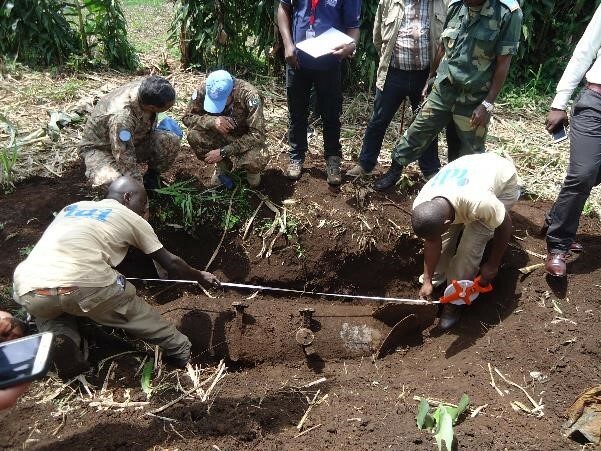 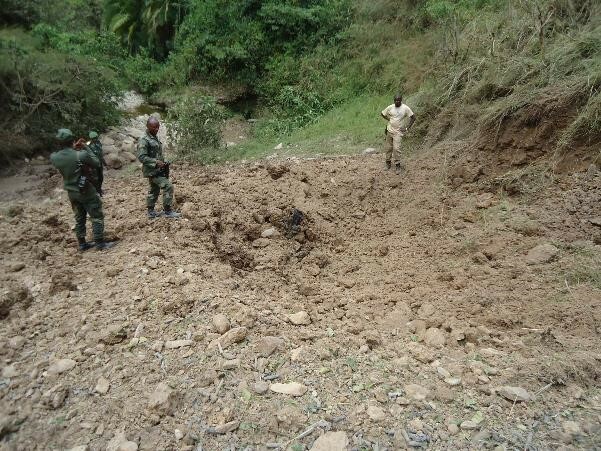 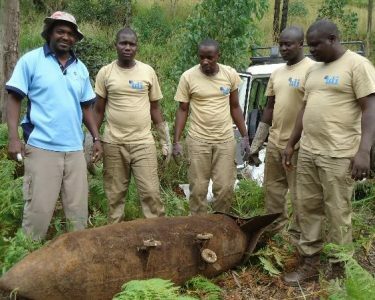 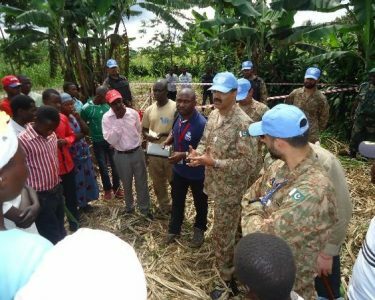 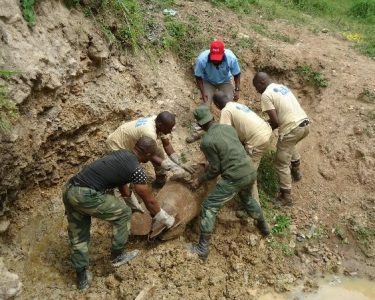 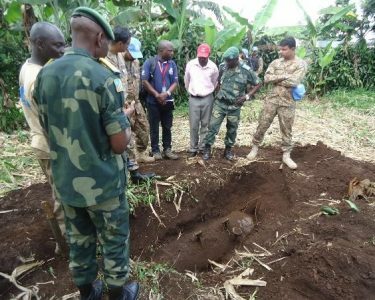 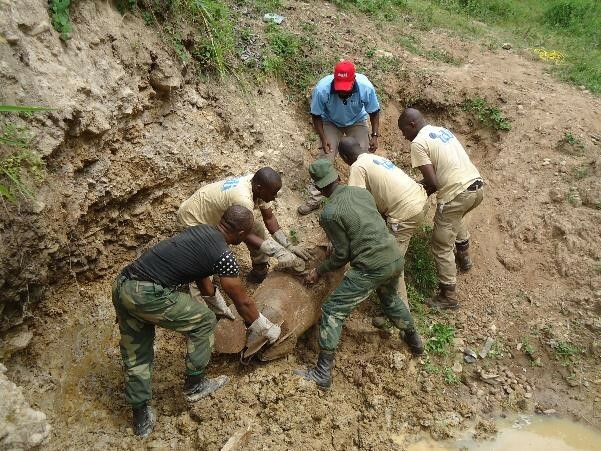 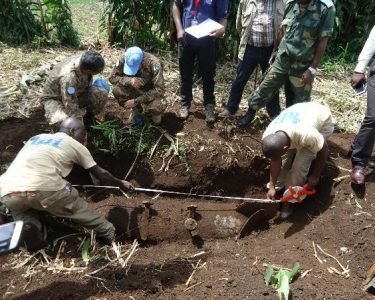 TDI Teams in Democratic Republic of Congo recently removed and destroyed an aircraft bomb that was found in a village near Bukavu in South Kivu Province. 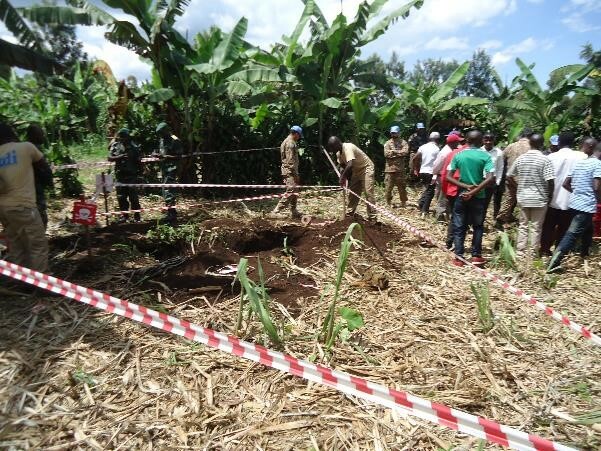 This was a joint effort from a task group between TDI, UNMAS, FARDC, MONUSCO and representatives of the SKB. 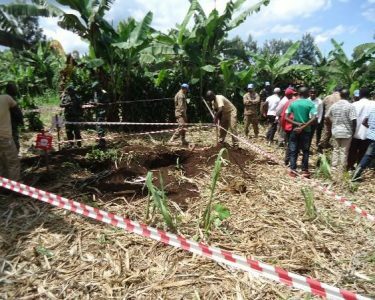 During the initial survey of the area, teams unearthed and located the aircraft bomb that was 2.2m long, 60cm in diameter and weighed approximately 375kg. 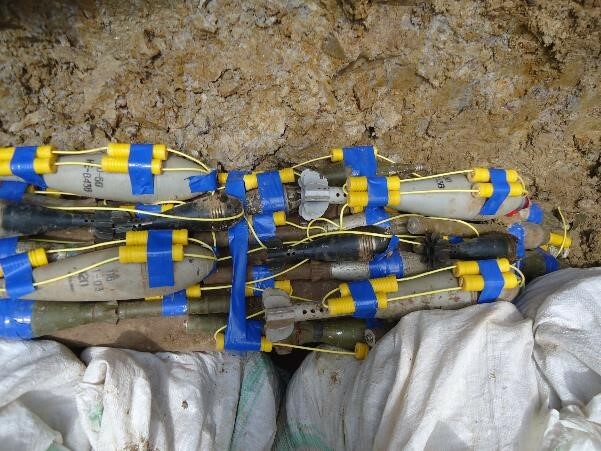 These bombs were manufactured by the Congolese Military between 1998 and 2001 in the Town of Lubumbashi during the AFDL conflict and were used in bombing raids against the then rebel forces. 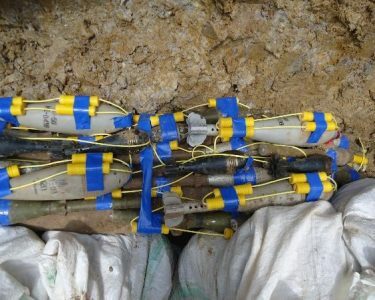 The use of these items unfortunately cost the lives of many civilians that were in and around the areas where the conflict took place and local residents were thrilled when the item was located and removed by the team. 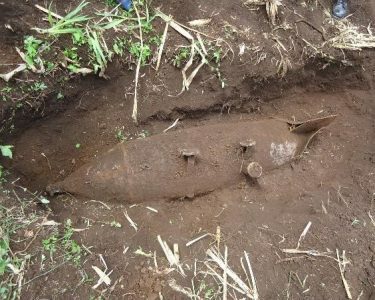 A direct threat is posed to them from this unexploded ordnance (UXO) and accidents can take lives, destroy housing and huge swathes of land. 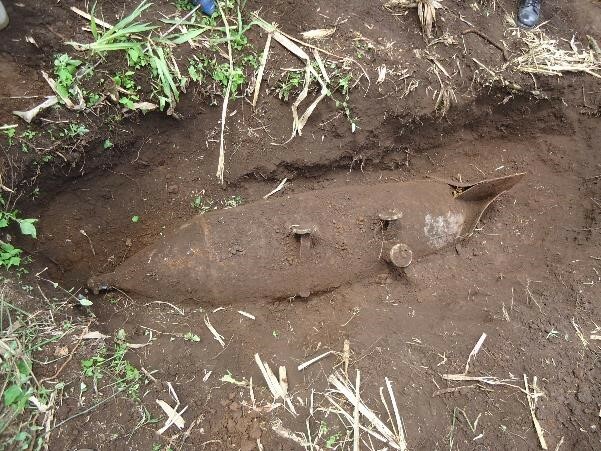 Once excavated and removed, the bomb was relocated to a remote area approximately 40km away from the village and TDI teams, with the assistance of members of the FARDC, successfully destroyed it with a controlled demolition.